The beaches and limestone bluffs of Fish Cay. The beautiful and unique landscape at the Fish Cays. 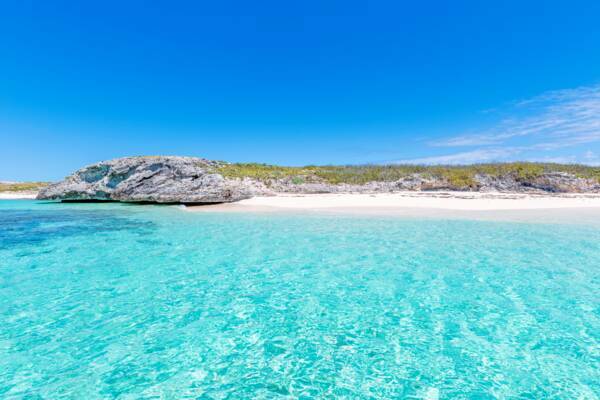 Fish Cay is a beautiful and remote uninhabited 23 acre (9.3 hectares) cay that’s located between South Caicos and Ambergris Cay. Adjacent to the larger cay are several smaller rocks, and the collection is often referred to as the Fish Cays. The cays are part of the Little Ambergris Cay and Fish Cays Nature Reserve. Little Ambergris Cay is an incredible uninhabited wetland island counterpart to the better-known Ambergris Cay. The Fish Cays are quite scenic and unique when compared to the other islands in the Turks and Caicos. On the lee western side of the main cay are three spectacular and sheltered beaches interspersed between limestone bluffs, with white sand and crystal-clear turquoise ocean water. The eastern windward coast offers a completely different atmosphere, with the deep blue water of the Turks Island Passage, and one of the most weather-beaten coasts in the Turks and Caicos. The weather-beaten west coast of Fish Cay. 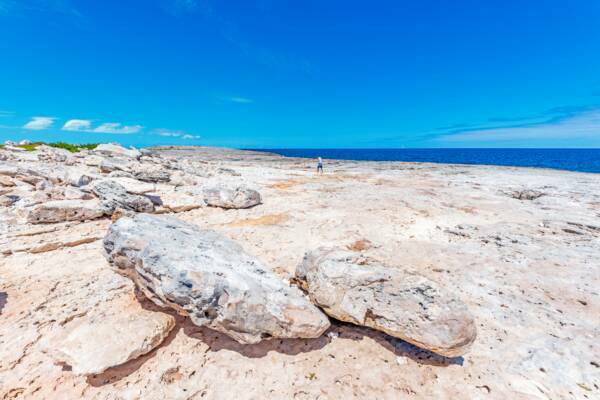 One striking feature of Fish Cay are the number of cacti and cactuses on the limestone bluffs. 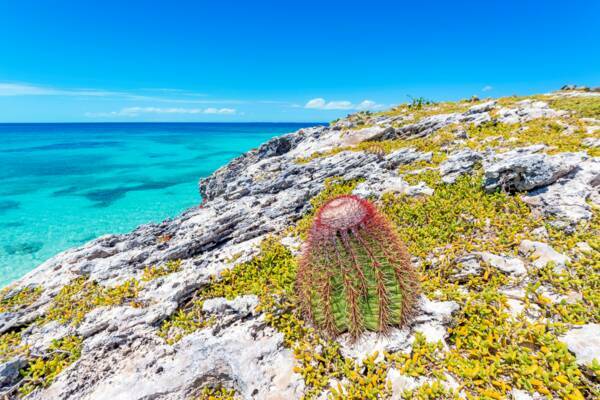 Scattered across the cay are Turks head cacti, and prickly pear cactuses densely cover a couple of the bluffs. Fish Cay also is fascinating from a geologist’s perspective, with small Karst formations covering the cay. Small and varying pools are found behind the small beaches and on the eastern coastline, with no two being alike. The critically-endangered Turks and Caicos Islands rock iguana is also found on Fish Cay. As a very remote island, no charter or tour companies regularly visit Fish Cay. Some boutique eco-tour operators, such as the Big Blue Collective, do visit the cay on custom charters. Fish Cay is also a popular boat tour destination from the private island of Ambergris Cay, which is located 20 minutes away by boat. Fish Cay is also a stop for cruisers visiting the Turks and Caicos, yet it’s important to be very careful of the many treacherous reefs in the area. The beaches at Fish Cay.